Is the Right to Appeal Appealing to the Commercial World? Arbitration has long been welcomed by commercial industries for its distinct advantages of finality, simplicity, flexibility and confidentiality. Many commercial parties tend to choose arbitration as dispute resolutions in the event of commercial disputes. However, it always poses a question of trade-off that advantages would normally draw their counter disadvantages. Confidentiality, considered one of the biggest benefits enjoyed by arbitration, can become a real problem since the left unreported cases introduce lack of accountability. This would impede the development of common law. Furthermore, the finality enjoyed by arbitration means that appeals against arbitral awards are fairly limited. This will introduce lack of certainty in applying legal rules. And that only a system of appeals will allow an appropriate light to be shone on arbitration practice and appeals to the court will give arbitration greater authority as a process. Equivalent clause for appeal on a point of law can be found in Section 5 of Schedule 2 of Hong Kong Arbitration Ordinance (Cap. 609). Under the Arbitration Ordinance, the distinction is drawn between questions of “general importance” and those that are not. Where the question is of “general importance”, the party seeking leave to appeal must show that the tribunal’s decision is at least open to serious doubt. Where it involves a question of law of general importance, the court would normally grant leave to appeal only if there is a serious doubt on its correctness. Where the question is not of “general importance”, the party seeking to appeal must satisfy a higher threshold by showing that the tribunal’s decision is “obviously wrong”. 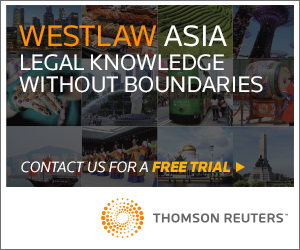 In Hong Kong, almost all arbitral awards are final and binding. The default position is that the parties do not have the right to appeal on a question of law. Currently, the recourse against an arbitral award is by an application to the Court of First Instance for setting aside the award under Section 81 of Arbitration Ordinance. The Court of First Instance cannot invoke errors of fact or law on the face of the award as a ground to set aside an award and the permitted grounds for setting aside are all related to questions of procedural fairness or public policy issues. Regretfully, commercial parties are generally not aware of the opt-in provisions when they enter into a contract and thus they would put themselves into a predicament when they seek to appeal against the contentious awards but offered no possibility. Furthermore, even opt-provisions are incorporated into the arbitration agreements, parties are still subject to the narrow interpretations of leave to appeal by the Court of First Instance. The Hong Kong Government’s policies have been to encourage arbitration as a preferred dispute resolution method and this can be exemplified by the Hong Kong Courts’ strict non-interventional approach to appeals against arbitral awards.4 In China International Fund Limited v Dennis Lau5, the Court of Appeal held that it is constitutional to exclude the Court of Appeal from deciding whether to give permission to a losing party to appeal against a decision by the Court of First Instance regarding its failed application to set aside an arbitral award. The implication behind the case is that only the Court of First Instance can decide whether to allow a losing party to appeal against its own judgment to the Court of Appeal. The losing party then applied to strike down the restriction to appeal on the ground that such restriction was unconstitutional. In accordance with Article 82 of the Basic Law, it stipulates that the power of final adjudication shall be vested in the Court of Final Appeal. The Court of Appeal decided that such restriction was nonetheless constitutional according to the Basic Law since it satisfied the proportionality test. And the restriction was set to serve for the objective of the Arbitration Ordinance, which is to “facilitate the fair and speedy resolution of disputes by arbitration without unnecessary expense” and the court should only interfere in the arbitration when it is expressly provided in the Ordinance (Section 3 of Arbitration Ordinance). The Court of Appeal also gave opinion that the judges who hear an application to set aside an arbitral award are specialists assigned to the Construction and Arbitration List and they would therefore be best placed to decide whether an appeal to the Court of Appeal would have a reasonable prospect of success. The Court of Appeal viewed this approach coheres the main objectives of arbitration. One major factor which affected the Court’s decision is that, by agreeing to arbitrate in the first place, the parties have chosen to submit their disputes to a final and binding process, which was not meant to be subject to appeal on the merits, let alone lengthy and protracted intervention by the domestic courts. The interest in bringing an appeal must be weighed against “the importance one place on party autonomy in arbitration, the promotion of speed and reduction of cost in those cases”. The courts of Hong Kong have demonstrated their support for the integrity of the arbitral process. Nevertheless, the pro-arbitration approach adopted by Hong Kong courts is indeed having a detrimental effect to the development of common law in Hong Kong. He further pointed out that there is a real concern for the lack of case law on changes in commercial practice in construction industry, engineering, shipping, insurance and commodities. It therefore reduces the certainty in law and one’s understanding of his legal rights and obligations status, impede adequate plan of his affairs accordingly. This can hinder the potential economic development due to the concern of potential liability. Furthermore, commercial disputes evolve with the development of markets and society. Novel disputes take place continuously. With the lack of up-to-date case reference, it is even more troublesome for the arbitration users and lawyers to find helpful guidance for such emerging dispute area. The lack of openness equally makes it difficult for lawyers to access the law and to understand how it has been interpreted and applied. It also reduces the degree of certainty in the law that comes through the provision of authoritative decisions of the court. As such it reduces individuals’ ability to fully understand their rights and obligations, and to properly plan their affairs accordingly. 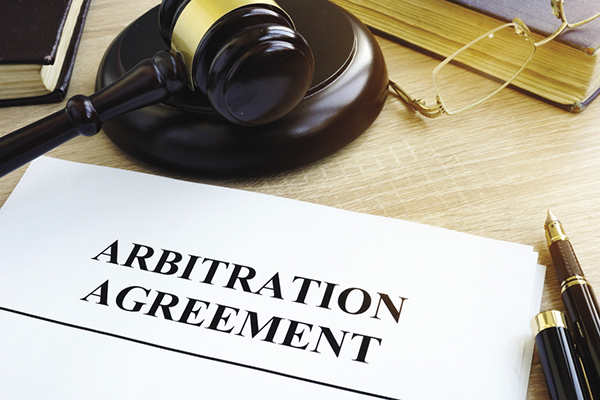 High threshold for arbitration with the opt-in scheme under Arbitration Ordinance place an extra hurdle for arbitration users to seek redress on points of law. Hence, arbitration users may ultimately switch to court proceedings to secure its certainty in law. Thus, the pro-arbitration approach eventually becomes the “con-arbitration” approach. Contrary to some of the opposing arguments that the finality may be undermined due to the appeal of the arbitral tribunals’ decisions, the English arbitration statistics as referred to above prove that the high hurdle can be remained by the Courts, and that there is little scope for setting aside or remitting an arbitral award in any but the most egregious of cases. In addition, it also establishes the fact that the English arbitrators are very competent given that at the end the number of successfully appealed cases is extremely low. From these, it is necessary for one to recall the significance of courts decisions and adequate court intervention in commercial law, it enables the law to develop in light of reasoned argument. Courts articulate and explain rights, including definite ruling on the scope and interpretation of contractual clauses and financial instruments which arbitration cannot achieve. It also ensures the development of law on the issues of general importance is subject to public scrutiny but not hidden from review. It can now be understood that the relationship between arbitration and courts is more like in coordination rather than rival. The extreme “pro-arbitration” approach in Hong Kong will ultimately become “con-arbitration” approach since there is always a problem of trade-off. This corresponds to Lord Thomas’ support for rebalancing of relationship between the courts and arbitration. Only with the adequate court intervention, can the arbitration in Hong Kong prosper along with the development of its common law regime. It is an imperative need for revision on criteria of appeals and with a more flexible test for grant of leave to appeal. Arbitrators do make mistakes, and such measures provide an opportunity to redress on points of law. Also, it can satisfy arbitration users’ demand for clear guidance and encourage growth of common law. Examples can be found in other countries where the American Arbitration Association provide arbitration users an option of appellate arbitration and Singapore International Commercial Court would give dissatisfied losing party on ground of an appeal. 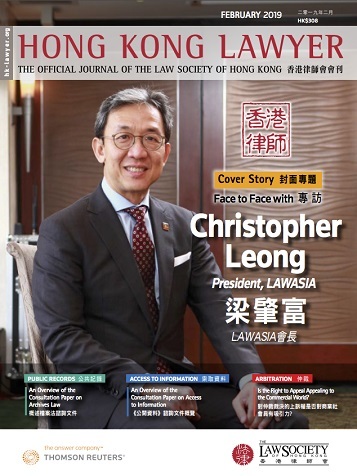 As a long term tactic, if Hong Kong commercial law could develop its own distinct branch of common law and get respect for its system, this would also make Hong Kong more attractive as an international legal and dispute resolution hub. 3 Note that the Hong Kong Court of Final Appeal Ordinance (Cap. 484) provides for a leapfrog procedure by which civil appeals may, in certain cases, go directly to the Court of Final Appeal from the Court of First Instance, bypassing the intermediate Court of Appeal. 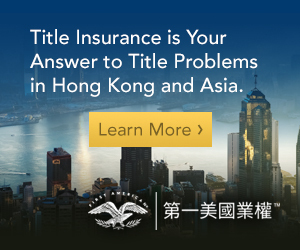 4 Hong Kong has been well recognised as “a jurisdiction where the policy encourages and upholds the autonomy and finality of arbitration, i.e. a policy of minimal interference with awards”, see Arbitration in Hong Kong: A Practical Guide, 4th Ed., 2017, Sweet & Maxwell, at para. 20.003. Qualified in both China and England & Wales, Mr. Liu specialises in shipping and commercial litigation and arbitration. 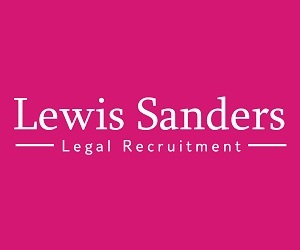 His practices covers all areas of maritime and commercial law, including charterparty and shipbuilding contract disputes, cargo claims, sale of goods disputes, marine insurance and investment disputes etc. He handles a wide variety of cases of different types and sizes under LMAA Terms, HKIAC rules and UNCITRAL rules. He has published numerous articles and case commentaries in respect of shipping and arbitration topics in reputable journals and newsletters in England, Mainland China and Hong Kong. He is a member of The Chartered Institute of Arbitrators, a member of Hong Kong Maritime Arbitrators Group and a supporting member of London Maritime Arbitrators’ Association.